Come out to the annual Meriden Daffodil Festival on Saturday April 27th and Sunday April 28th! 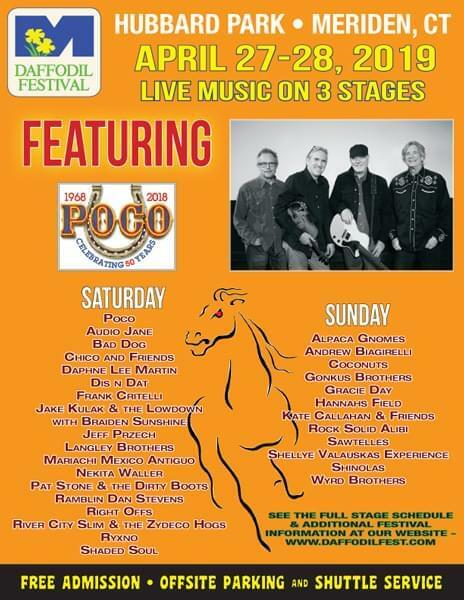 This year’s headliner is POCO! Be sure to stop by the 102.9 The Whale Tent Saturday!!! Join us and see what makes the Meriden Daffodil Festival one of Connecticut’s favorite celebrations! Get more details at www.daffodilfest.com!